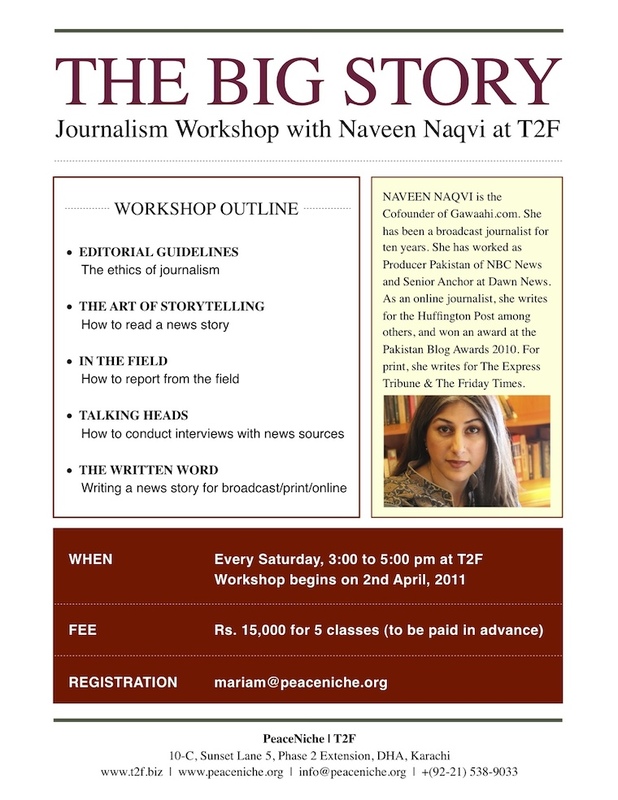 I’ll be running a journalism workshop at The Second Floor (T2F). There are five sessions starting on Saturday, the 2nd of April. If you’re interested in learning the basics of broadcast journalism, or if you are a citizen journalist striving to meet professional standards, you may want to look into this. Thanks!